Inflated Bubbles – Put A Number On It! Nagging reminder that the 50th percentile liberal voter chose Clinton, not Trump (popular vote). Unless you ignore all those millions of people who voted illegally, of course! It’s not an irrelevant nag. Electoral College is what determines the President. But the popular vote is supposed to be a barometer of public support, and a basis for cultural arguments like Jacob is making. Hillary Clinton won the popular vote, Trump slid in on what most voter view as a technicality. The Blue Tribe has every right to promote that fact for the next four years to argue against the President Elect’s policies and to advocate electoral reform. If we’re being honest, probably the middle 40% of Americans were equally disgusted with both Trump and Hillary. A few of them voted Trump, a few voted Hillary, most of them stayed home and drank. In either case, the median voter was somewhere between Trump and Clinton in their actual political position, which is definitely to the right of my own position, and that was the only point I was trying to make. Finally, the popular vote is just an auxiliary statistic, like saying that a football team should have won because they gained more yards (but scored less points). Yes, you should fight Trump’s policies if they are harmful. Yes, you should fight the electoral college because it’s idiotic. You should do both things regardless of whether some statistic broke 51-49 your way or 49-51. The “only point I was trying to make” thing is a sign of a failed argument. When one says the median voter voted for Trump, that has a specific, mathy meaning. As someone once observed, “Hey, math is hard.” But this isn’t. The median voter voted for Clinton. I am unconvinced the Electoral College is idiotic. There’s the tyranny-of-the-big-population-majority argument, and I view that argument as tough to figure on rightness grounds. There’s also the imagine-if-Bush-v-Gore-were-this-close-nationwide problem. I don’t know the history in other countries well enough to argue that point either way, but it seems like a potential catastrophe. Maybe there’s a midpoint argument: If you get 50%+ of the votes, you win. If you win by more than 1.5%, you win. Else, EC it is. There’s a credible, perhaps even strong, argument that the EC is entirely a bad idea in 2016. But I think idiotic is too strong a hack at it. I agree that the given the construct, the arguments that Hillary won the election are unsound. But the fact Hillary got more votes is not entirely irrelevant, especially with the PEOTUS saying he won in a landslide. That sort of requires reminders otherwise. “The only point I was trying to make” means that I was making a point about my own position, and not making a point about electoral breakdowns. I am more liberal than whichever voter was ambivalent between Trump and Hillary. Whether that voter was the 51st percentile liberal or the 49th doesn’t really affect the percentile I end up in. You were making the point that we can say that in some ways Hillary won, or at least that the Democratic platform has some mandate. OK, I don’t particularly disagree. As for the electoral college: I don’t think it matters that much which vote counting system you go with in a two-party system. You seem to have given the pros and cons of each system a lot more thought than I have. But imagine if the US, like practically any democracy on the planet, just counted up all the (popular) votes. Imagine somebody proposing that we switch instead to the electoral college system, which no one would have heard of until that point. Most Americans would reply: “Huh? That’s idiotic”. FWIW, I would have interpreted “70th percentile liberal” as “70th percentile among liberal-identified people”, not “70th percentile along the conservative-liberal spectrum”; I would interpret “50th percentile liberal” as the average liberal, not the average person in general. That may have contributed to some of the confusion. 1) There is some evidence that Rationalists like Trump: Scott’s anti-Trump post had a huge amount of responses by people who’re big Trump fans. More generally, there’s enough pro-Trumpism in the comment sections/open threads that comments critical of Trump tend to get mobbed. This isn’t crazy strong evidence – Scott’s readership (especially the anti-Trump post) has a lot of people who would not identify as rationalists, and adding in my own hostile media bias and the tendency of Trump fans to just post a lot, you can make a good case against it. But there’s definitely a non-zero, and even a non-trivial, amount of evidence for rationalists liking Trump. More generally, it’s sayings like this where libertarians always lose me – you start with “pointless regulations are hurting the economy by limiting people”, and make arguments about licensing for hair-arrangers, which make sense to me, but then they jump to extreme statements like this, which just seem like the same sort of ridiculous signalling as those liberals from your Facebook. Both your arguments look like the non central fallacy, and also you critiquing much stronger statements than I intended. It’s hard to crisply define “Rationalists”, but there are some reasonable definitions for both the core and the broad community. At the core of the community you have Eliezer, Scott, Effective Altruism and CFAR, all of whom are against Trump. On a broader scale, you can look at surveys of 1,400 LessWrongers in which 4.5% identified as conservative vs. 66.7% either liberal or social democratic. Scott attracts some people from the altish-right because he wrote some popular anti-SJ posts, but you would only call these people “The Rationalist Community” if you set out ahead of time to smear rationalists. First of all, this was a half-joke inside a hypothesis that I said I didn’t endorse. Second, malaria-fighting organizations are a ridiculously non-central example of organizations. 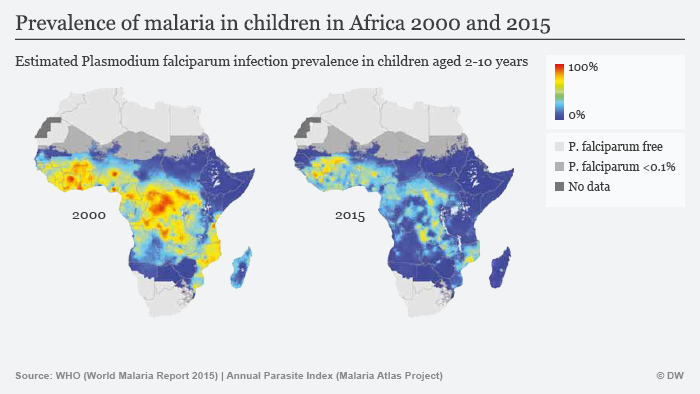 Against Malaria Fund is perhaps the single best organization on the planet in terms of achieving its goal efficiently, which is why we give them our money. The examples I had in mind are things like sexual harassment training seminars, which are a proven way to increase sexual harassment in a workplace. But OK, that’s a non- central example as well. In general, when I argue that an organization, like the FDA is counterproductive I use statistics and numbers, and I change my mind when I see new evidence. If you want to grouse about some silly internet libertarians, you can find better forums to do that. Don’t lump me with them over a throwaway line while ignoring the actual arguments I make for libertarian positions. I think you read my tone as a lot more hostile than I meant it (which is understandable, given the conversations you’d had earlier). I didn’t mean to join in the attack on you; I actually like the general point you’re trying to make and think it is one worth making, and my disagreements really are focused on these two minor points. 1) I agree that, on actual examination of the evidence, most rationalists are not Trump supporters. My point was that it’s a misconception that’s easy to fall into, so it deserves counterevidence and can’t just be dismissed out of hand. I do think more rationalists are pro-Trump than was presented in that survey, because aside from being more rationality-focused, rationalists also tend to be more contrarian, and Trump is a lot more contrarian than your standard conservative. But it’s not a position I have any solid evidence for, so I won’t fight too hard to defend it. 2) I apparently misread what you meant there*. I don’t like doing random libertarian-bashing, and like I said a lot of libertarian thinking does make sense to me. Non-hyperbolically, how seriously do you take that statement? There are certainly a lot of inefficient organizations out there, but sexual harassment seminars (and arguably the FDA) seem like unusual examples. Groups of the class “organizations that try to change people’s long-term behavior” seem like they’re usually counterproductive, but aside from that it’s hard to think of examples of groups that actually are counterproductive (with the FDA, even you seem unsure if actually just cancelling them would be an improvement). And even in that class, it’s almost impossible to find groups that are counterproductive because they’re incentivised to be counterproductive (legislative deadlock in congress is the only example that really springs to mind), rather than because coordination and efficiency are just hard problems. What version of that would you actively stand behind? On the writing level, I think that’s a paragraph that’s genuinely confusing, since you’re jumping between unusual-but-reasonable claims to hyperbolic ones and then back. I apologize, I was jumpier than usual after enduring that Facebook conversation. On rationalists, the bottom line is that the evidence doesn’t really matter to people who think we’re all a bunch of neoreactionaries with Asperger’s (c.f. the last Facebook screenshot). I posted it not for them but for the readers of Putanumonit who aren’t familiar with the rationalist community and may have seen these smears elsewhere. I do actually think that this is a serious problem in any organization that doesn’t measure itself effectively. The job of the people at the top of every organization is to keep their employees happy and keep the budget growing. This is usually orthogonal to the org’s mission, and can actually go against it when the problem is almost solved and the funds are thus shrinking. At the bottom there are the people in the field actually doing stuff to pursue the org’s stated goals .Their effectiveness can vary a lot, depending on the tractability of the problem and how the org is structured. In the end, to a first approximation it comes down to what you measure, and thus incentives. AMF measures itself by nets distributed, and distributing nets actually helps fight malaria, so AMF fights malaria effectively. Sexual harassment is both hard to control and hard to measure, but it’s easy to measure “hours spent on harassment prevention”. Thus, people spend a lot of hours in them and sexual harassment doesn’t decrease. The FDA is measured by the number of people killed by bad drugs, which is quite tractable and measurable, so the FDA does that quite well. The problem there is that their goal is not perfectly aligned with what we wish they did (i.e. total American QALYs or something like that). I admire your commitment to listening to people who hate you. Personally; I’ve been scrubbing my fb feed since September to try to get the politics off it; I think I’ve mostly succeeded. As to your theory, I suspect this is something like (though not exactly the same as) your “plastic man” phenomenon. If someone really passionately identifies with a particular cultural group or movement (like liberals, or Christians, or nerds), it’s easy to build up a suspicion of people who don’t identify fully, or identify less fully, with the group in question. That suspicion comes out as a strong hostility towards perceived “entryists” or “collaborators”: if you are 100% for THING, it’s impossible for anyone to be 70% or 80% for THING, so anyone who claims to be such must secretly be an opponent, sent to undermine your cause and pull away the weakly-attached middle. I’m just spitballing, but I would guess that such feelings come from a (pretty reasonable) belief that there are no principled moderates, or at least none that are relevant. If your only categories are “fellow traveler”, “uninformed neutral”, and “enemy”, then anyone who would fall in to the “informed neutral” category automatically gets classed as “enemy”. I’m not sure if this is more or less charitable than your theory, honestly. Differently charitable, maybe? I love your idea of “informed neutral” being a very hard category to accept. The feeling that if everyone just read the same two articles you did they would believe everything you believe is extremely seductive. I feel the same way a lot, and not just on political issues, like when someone who has read “Superintelligence” gives stupid arguments about why Strong AI can never be a threat. It’s like an intuitive version of Aumann’s Agreement Theorem. I fight this intuition by reminding myself that a book or an article is just the tip of the iceberg of relevant knowledge on a subject. Beneath the water people can have very different beliefs on basic issues (e.g. what’s a legitimate reference class, or how to resolve moral conflicts) that cause them to reach contrasting conclusion despite sharing “above the water” knowledge. For example, I believe that pursuing the Right of Return has harmful consequences for both Jews and Palestinians. Not only is that assumption based on a lifetime of relevant knowledge about the Middle East that these guys don’t share, they don’t even share my moral system for phrasing the question: I care about consequences, they care about rights, The critical difference is that as rationalists we have the ability to step “above” the object-level argument, and some people can’t seem to understand that this meta-level exists. With respect to “The feeling that if everyone just read the same two articles you did they would believe everything you believe is extremely seductive,” one of the problems which you’ve mentioned is that two articles barely contain any information. It is common (and I used to fall for this before I recognized it and try hard not to fall for it now) that people will read one article/view one documentary/listen to one angry radio host on a topic and think they are now an expert. At-least with two articles there is a chance that they won’t fit the same self consistent narrative. There is an additional problem in that people think differently. There is not only one way to be rational. Two intelligent completely rational people can have the same information and come to different conclusions if they are using different reasoning. People have a hard time accepting this principle. The thinking that “someone who disagrees with me must be either stupid or lying” stems from not accepting this principle. It runs counter to Aumann’s Agreement Theorem but it leads to the non-existence of the “informed neutral” class. Some anecdotes supporting “many extremists think the majority agrees with them.” I should point out that I listen to c-span radio which is where I get some of this information from. 1) Shortly after the election, a c-span caller was adamant that Mr. Trump got at-least 85% of the popular vote but there is a giant conspiracy to say otherwise. 2) One of the most common phrases in American politics is “the American people thank/want the same thing I do,” or something equivalent with no evidence supporting that this is so. I am also familiar enough with extreme politics in the US from neo-nazis to socialists to know that “most people would agree with us if only they could get past their prejudices,” is a common phrase. 3) I have known many people from both popular camps who are cannot comprehend ahead of time that there could possibly be enough people to elect the enemy as president. 4) The thinking that “somebody who disagrees with me is either stupid or lying,” is also quite common and sometimes explicitly stated. 5) The talk about “real” Americans, or patriots, or liberals, or conservatives, or Christians, or what have you is also emblematic of this. 6) It is not uncommon to hear accusations of astroturfing, the existence of a fifth column, or the like. This is what I have come up with. From my personal experience, people generally have trouble truly getting meaningful perspective on their own thoughts. I’ve mentioned before that most people consider themselves normal and thus from these two I will suggest most people believe that they are in the majority (at-least when all the nonsense is striped away). This would include people on the fringe. I hold that there is a time and a place for shaming and a time and a place for avoiding such regardless of whether or not one’s own opinion is in the majority. With regards to queer acceptance, both when homophobia was culturally acceptable and now, if someone wants to respectfully engage with me then I try and return the courtesy but if someone makes their distaste known in a disrespectful manner, I usually have no problem making them uncomfortable. This is probably part of my own tendency to stay away from strict statements such as “use shame to change somebody’s opinion if and only if their opinion is opposed by the majority.” I doubt you were saying something so strict but I don’t want to claim that you weren’t. As far as things that you might believe a majority agree with you on but only a minority do is that the mathematics matters. I know not a small number of people who are openly hostile towards mathematics and who would take a mathematical argument in favor of something as evidence that the something is wrong. I would say most people I know (and most Americansy wouldn’t understand anything beyond a simple mathematical argument. They might not act hostilely to a mathematical argument but it might make them uncomfortable. I don’t see any markup (bold, italics, or underline) in your big blockquote despite the claim of added emphasis. I might be missing something, my phone’s browser might not be dealing with the markup correctly, the markup could have been incorrectly done, or the entirety of the zero emphasis is, in fact, attributable to you. But the apparent lack of emphasis confused me. I’m not sure why WordPress ignores the \<strong> tag inside a \<blockquote>, I guess the quote is emphatic enough without emphasis. Anyway, you bring up a really good point: some people may be actively turned off by math-based arguments. I suspect that this happens in discussions around sacred values. There’s research showing that when sacred values are involved, offering someone money to soften their position only serves to harden it. I guess “who’s a true liberal” is a pretty sacred thing to my interlocutors, which is why math made them angry. I don’t really have any sacred values that I wouldn’t hear a mathy/consequentialist/trade-off argument about, so this is a blind spot for me. How would one answer the question “who’s a true liberal” with math anyways? It involves projecting political beliefs onto a one dimensional value and saying anybody in a particular interval is a true liberal. There is value in such projects, when I say that I’m further to the left then the Democratic Party that conveys real information, but whenever one takes such a projection, one destroys valuable information. There are also lots of ways to do it. It isn’t hard to come up legitimate way that, pragmatically speaking, would be the most useful to a specific person in a specific situation. It isn’t hard to come up with a criteria for “true liberal” that would include the people one wants to and exclude people one doesn’t even if one uses math correctly (which is itself hard to do). By entering into a conversation that challenges somebody’s identity of being a “true liberal” (if that is what you did) then you could be priming people to fight what you’ve said. If you’ve used mathematics with people who are hostile or uncomfortable with mathematical arguments that by itself would give then all they need to attack what you said. They would be defending their own idea of themselves as a “true liberal” with some merit (using an argument that your audience wouldn’t understand or be comfortable with considering isn’t a good way to get them to respectfully consider it). They way one would use math the answer the question would be to come up with a process of making the projection and measuring where the boundaries would be and who’s inside and outside before one actually manipulates any information. This would require that all parties involved be aware of and comfortable with process oriented thinking (as opposed to object oriented thinking). Most people, I would say, aren’t even aware of the issues there. I am also suspicious as to the utility of such an exercise. I suspect there isn’t really anything of value to be gained. You’re missing the main point, blue fb guy might know something about business school that you don’t, maybe you missed out on the coke and screwing over the proletariat parties, and missed great networking opportunities. No idea what you’re talking about. Our coke dealer was working class and we always paid him fairly.